having a spiritual influence on other families. Growing Together in Christ will help you pursue God together as a couple. 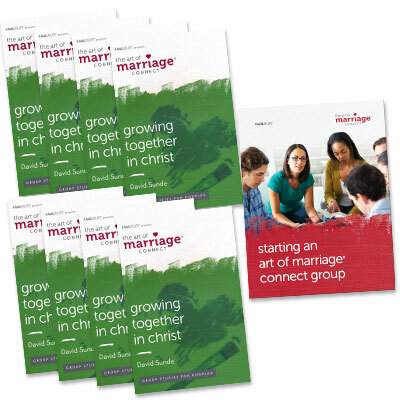 The Art of Marriage® Connect Series (formerly published as the Home Builders Couples Series® has been developed to help build marriages according to God's design. With global distribution of more than 2 million copies in 77 countries, each study focuses on real-life topics, practical application and biblical truth. Whether newlyweds, empty nesters or somewhere in between, connect with other couples--and find help and hope for your marriage. David Sunde serves internationally with FamilyLife, focusing on Latin America and Francophone Africa. He and his wife, Sande, have authored several resources for Christians in the marketplace. They are the parents of three children and grandparents of thirteen. David and Sande live in Colorado.